Dazzling in diamonds, this spectacular wedding set swirls with 40 round diamonds, at approximately .29 carat total weight. 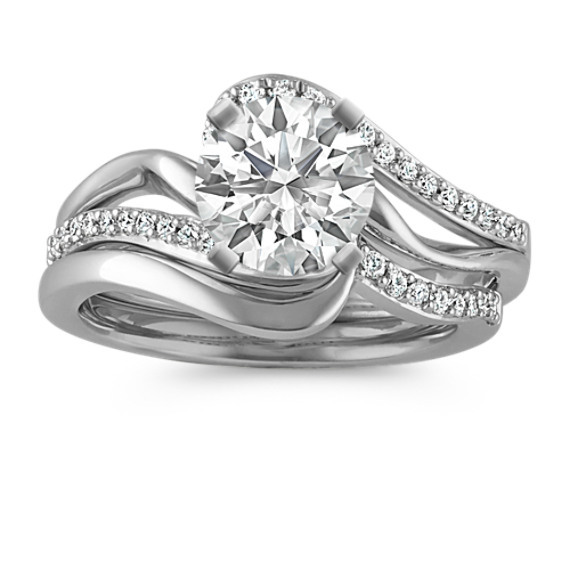 Sparkling in an elegant 14 karat white gold setting, this wedding set will make the perfect backdrop for the center stone of your choice. The picture on the website does not do the ring justices, I have gotten so many compliments on the uniqueness of this ring. Totally in love with my engagement ring!! My soon to be husband picked this one when we went engagement ring shopping. He Did a great job!!! The picture shows that is a pretty ring, but in person, it is absolutely gorgeous!! !